Our pharmacy residency program is in collaboration with Massachusetts College of Pharmacy and Health Sciences, offering both a PGY1 program and a 24-Month PGY1/PGY2 Health System Pharmacy Administration program. 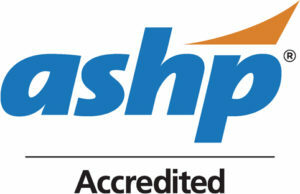 Both the PGY1 program and our 24-month Health System Pharmacy Administration (PGY1/PGY2) program are proudly ASHP Accredited. The PGY1 program is a structured, one-year postgraduate educational and training experience that fosters the development of advanced knowledge and skills in the delivery of pharmaceutical services within a community hospital setting. Besides completing core and elective learning experiences, the resident will conduct a longitudinal research project to be presented at the ASHP mid-year clinical meeting and the MCPHS Residency Fellowship Conference. The resident will be expected to staff a minimum of every third weekend and one four-hour evening shift per week. The resident will have an academic appointment at the rank of Instructor in the Department of Pharmacy Practice at MCPHS University. The resident will teach in various areas of pharmacy practice and will gain experience as a preceptor for pharmacy students on advanced clinical rotations. Upon completion of the program, the resident will be prepared to enter numerous fields of clinical practice. Building on Doctor of Pharmacy (PharmD) education and PGY1 pharmacy residency programs to contribute to the development of clinical pharmacists in advanced or specialized practice. PGY2 residencies provide residents with opportunities to function independently as practitioners by conceptualizing and integrating accumulated experience and knowledge and incorporating both into the provision of patient care that improves medication therapy. Residents who successfully complete an accredited PGY2 pharmacy residency should possess competencies that qualify them for clinical pharmacist and faculty positions and that position them to be eligible for attainment of board certification in the specialized practice area. The PGY1/PGY2 in Health System Pharmacy Administration is a structured, two-year postgraduate educational and training experience that is designed to develop pharmacists in the skills necessary to become a competent and confident formal hospital pharmacy leader. The PGY1 program provides a strong practice foundation with an emphasis on clinical skill development. The PGY2 program provides a broad experience in the management of pharmacy services in a community health system setting, including inpatient and ambulatory programs as well as foundation skills in human resources, leadership, technology, compliance, informatics, operational management, finance, medication safety and quality. Applicants must be graduates or candidates for graduation of an accredited Doctor of Pharmacy degree program (or one in process of pursuing accreditation) or equivalent or have a Foreign Pharmacy Graduate Equivalency Committee (FPGEC) certificate from the NABP. All Residents are required to be a Massachusetts licensed pharmacist by September 30, preferably by July 31. All materials should be submitted by January 6. MCPHS University Boston is the second oldest pharmacy school in the United States with a strong commitment to preparing future leaders of the profession of pharmacy. The University is located in the prestigious Longwood Medical and Academic Area. The University grants degrees in several undergraduate and graduate programs.